This small town festival is big! 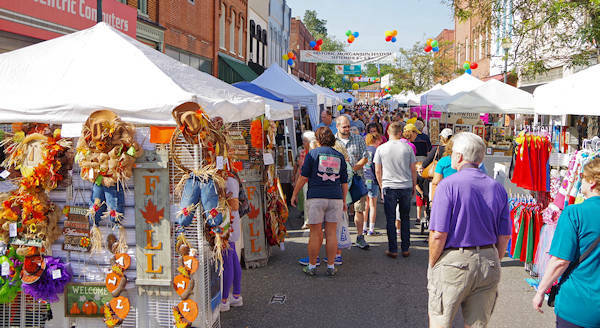 Downtown Morganton streets are filled with hundreds of vendors, three stages of entertainment, carnival rides, arts and crafts, beer and wine garden and an endless variety of food. Each night, national country artists perform on two of the biggest stages. The festival and concerts are free. 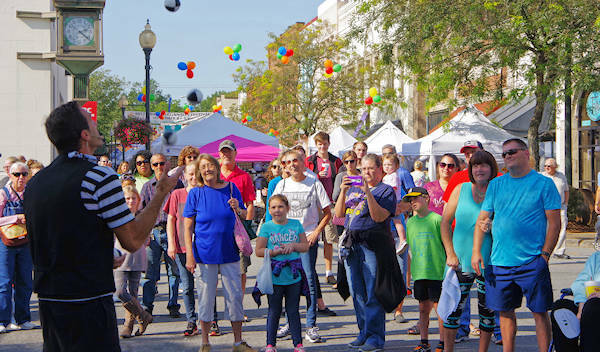 Find a mix of regional artists, local craftspersons, civic groups, local businesses and more under tents along eight blocks of Union, Green and Sterling Streets. 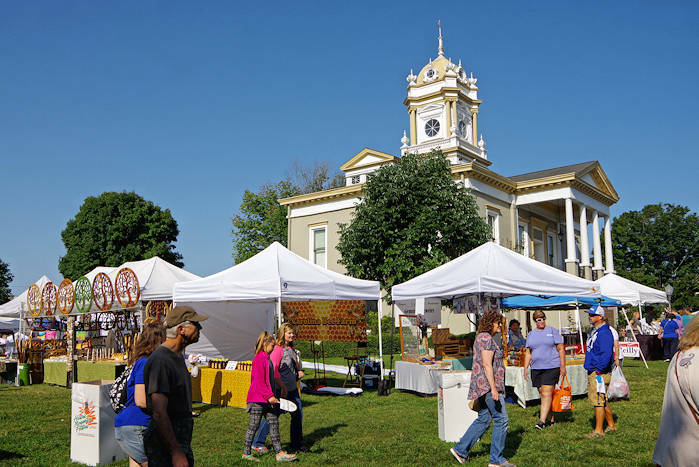 Our favorite section of the festival is the Courthouse Square green that is home to many of the vendors and craftspeople. Roving entertainers delight the visitors. 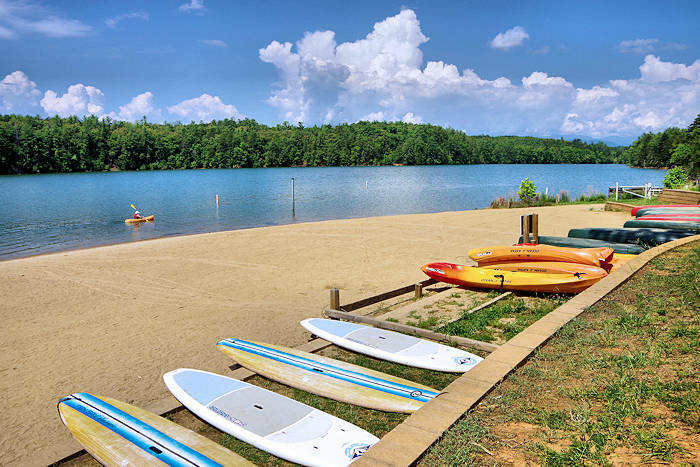 Find special zones for kids and teens with a variety of rides and games. 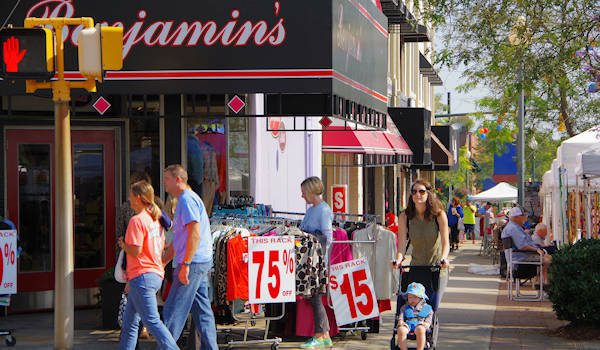 Many of the full-time downtown shops have great sales, so be sure to do some window shopping too! 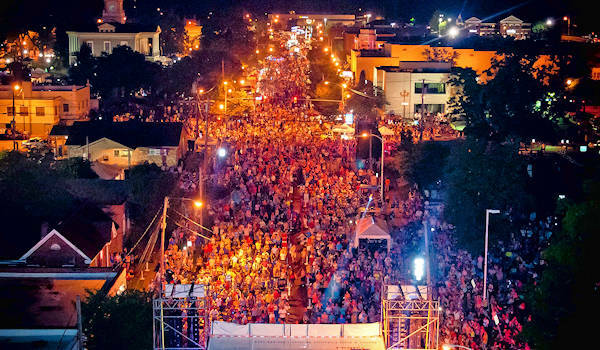 To feel less guilty on indulging on the festival food, start Saturday morning with a 5K or 10K. The Morganton Monster Cross-fit Competition is also Saturday morning. Due to the big crowds, please leave the pets at home. The big evening concerts begin at 7 PM on Friday night and 5:30 PM on Saturday night. Directions: From Asheville, take I-40 east to exit 105 and follow signs to downtown. Find a lot of free parking. Plus, many local non-profits offer $5 all day parking in church and business lots. Go to their Website for the latest details. 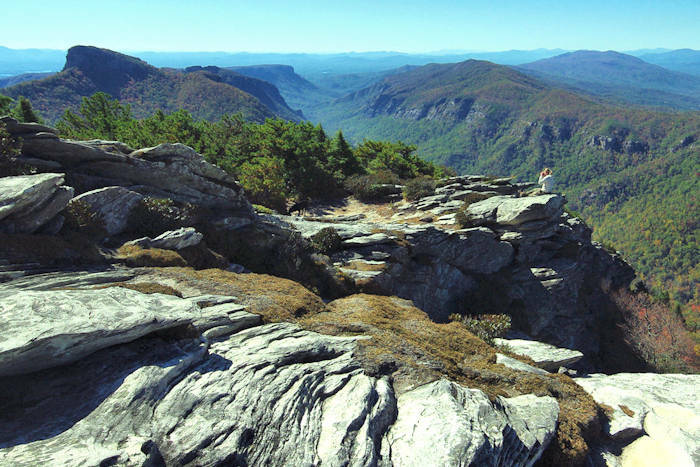 See more nearby things to do in Burke County.